If you are between the ages of 8 and 12 and would like to learn to sew on a machine, this is the camp for you. You will learn all about your sewing machine and how to use it. 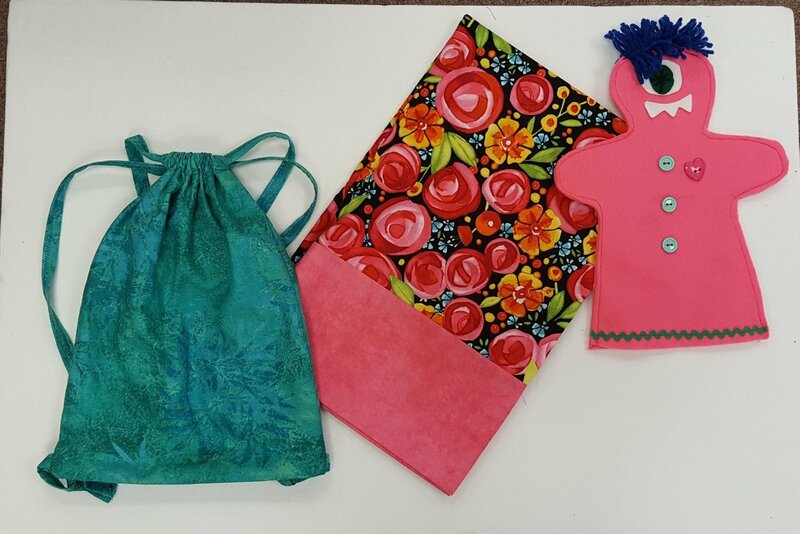 Then you will make a puppet, hot dog pillowcase and drawstring back pack. Best of all, at the end of camp you get to take your machine home with you! Camp fee includes Baby Lock Joy machine and project kits. plus supplies. Camp fee includes machine and project kits.